Sinking Feeling is a one shot adventure written for Castles & Crusades. The adventure has been written for 4-6 characters (supplied) and will run for approx 4 hours. This game will challenge your tactical ability and teamwork. It shouldnt have been that hard really. You’d been travelling all day and were enjoying a hot meal at the Black Duck Tavern when the commotion started. 3 kids had been taken from a nearby farm by hobgoblins. Surely the local steward and his men could handle this? Amazingly they were arguing amongst themselves and wouldnt set out till first light tomorrow. With an angry grunt you and your band of rough and ready adventurers grabbed your gear and set off in the direction of the hobgoblins. 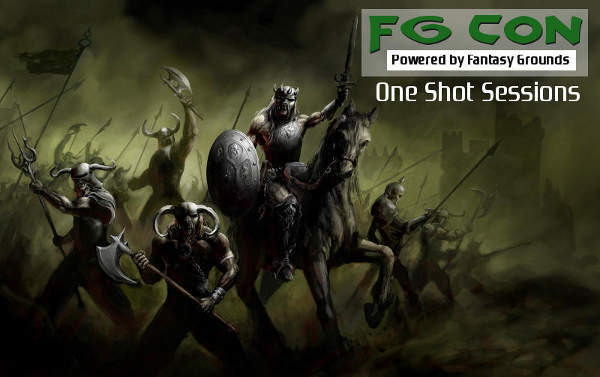 If you havent used Fantasy Grounds you might like to watch one of the Getting Started Sessions from FG Con 5 however experience is not required. If this opens up can I get in on it please. xkrisx just turn up and Ill find you a spot.